I had this idea when I received peppermint essential oil. I have seen already soaps called “After eight”, like that dark chocolate filled with peppermint cream, however all these creations are bar soaps. But I wanted a the same concept – chocolate soap filled with peppermint cream soap! Because of the cream filling, the soap must be made in form of pralines, for one-use only. On you to judge whether I succeeded! 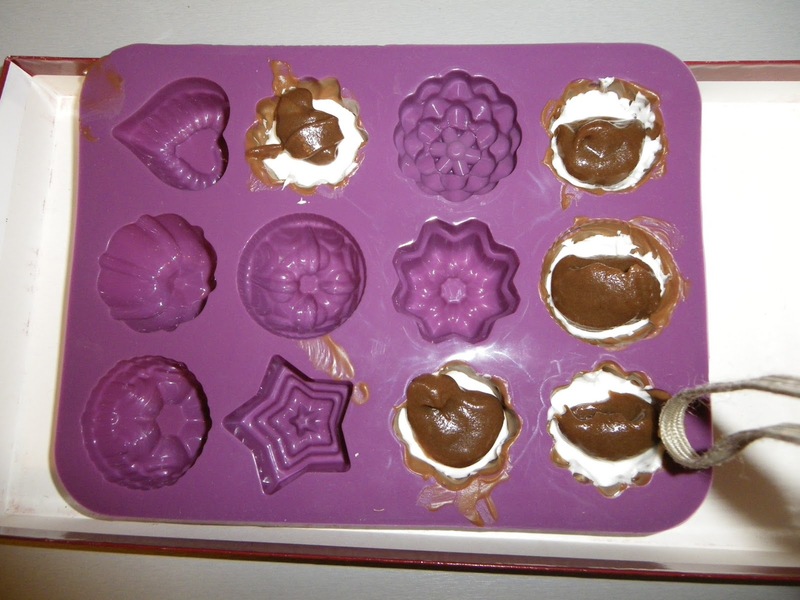 1) Pour chocolate on the bottom and sides of the mold, let harden in refrigerator. Repeat twice. 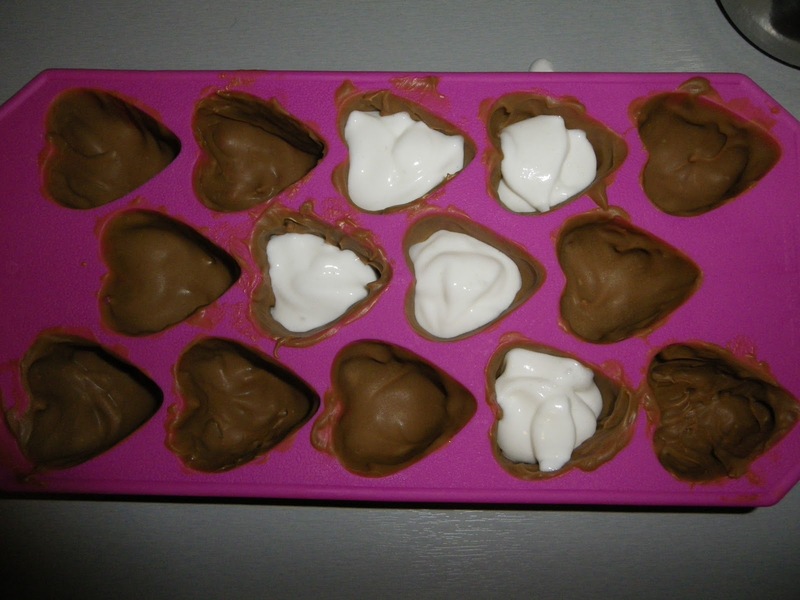 2) When hard, fill with the cream, but leave space for the upper layer of chocolate. Again let harden in the fridge. 3) Finally, pour the last chocolate layer and let harden in the fridge. 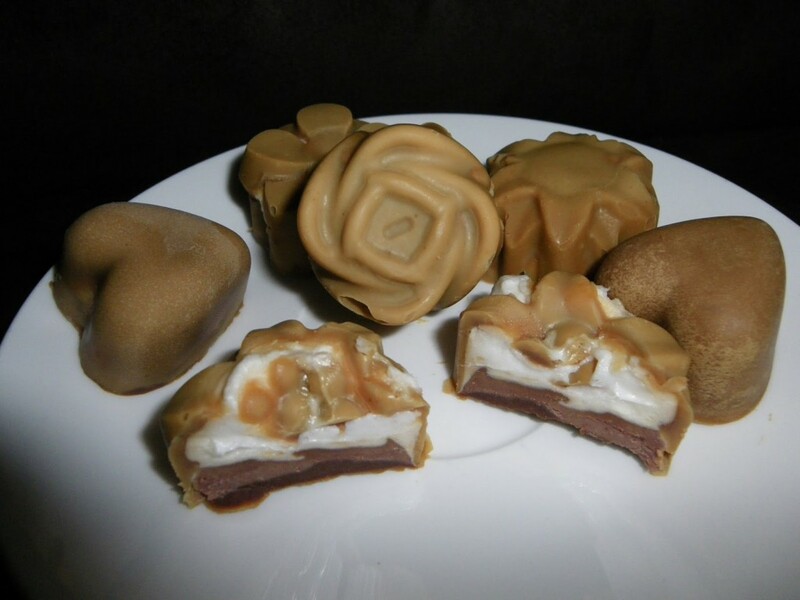 Not so easy when working with soap, mainly because the soap is not hardening as fast as the chocolate. 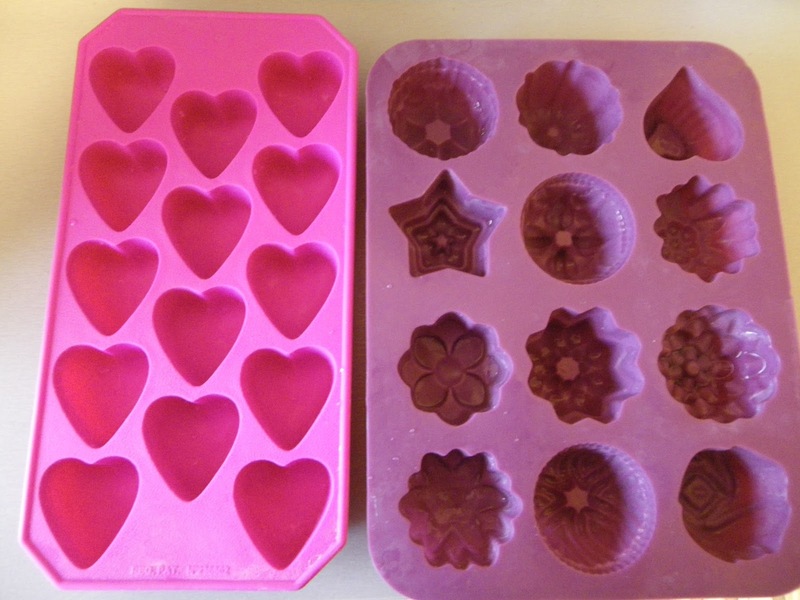 I prepared two molds – one relatively hard silicone mold for ice cubes (hearts), and one rather soft silicone mold for soaps (from www.aroma-zone.fr). 1) Prepare the soap by cold process method. The trace should be thick so that soap sticks to the sides of the mold, however not too thick, so that it can be still poured relatively easily. Small brush will help to distribute the mass on sides, however, the raw soap will very probably destroy it, so be prepared that it is one-use only. 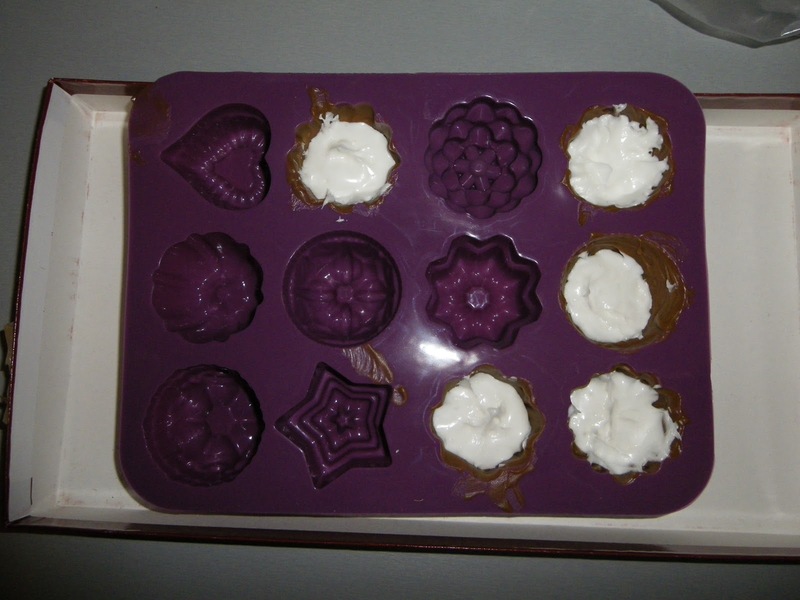 I had an impression that soap holds better rather on sides of the ice cube mold than on the soap mold, as the latter has very smooth sides (probably for easy unmolding), however at the end I got better results with the soap mold. 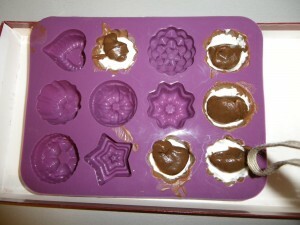 2) Fill bottom and sides of all molds by the chocolate soap. Try to make it about 2mm thick, otherwise it may break easily. 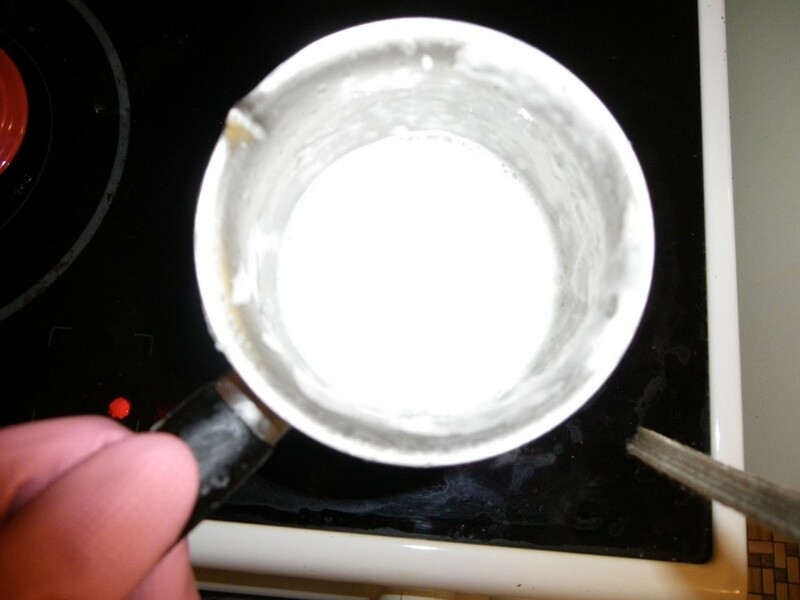 cca 1/4 up to 1/2 teaspoon of 20% citric acid – to neutralize the soap paste, which is usually pretty caustic, but depends, might not be necessary! 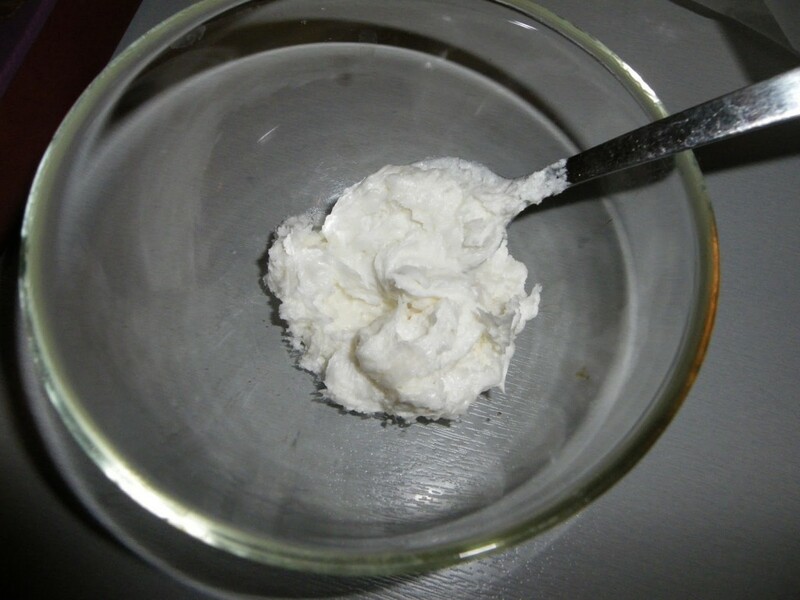 a) Dissolve the soap paste in hot water, after the solution cool down add the Shea butter and mix well using a blender – soap is a perfect emulsifier of o/w emulsions and therefore you will obtain a white cream. b) Test a very small part of this cream for alkalinity (phenophtalein test for example) and if necessary, mix in few drops of 20% solution of citric acid until Ph is less than 9 (phenophtalein gives no color or very faint rose – again test on a small sample). 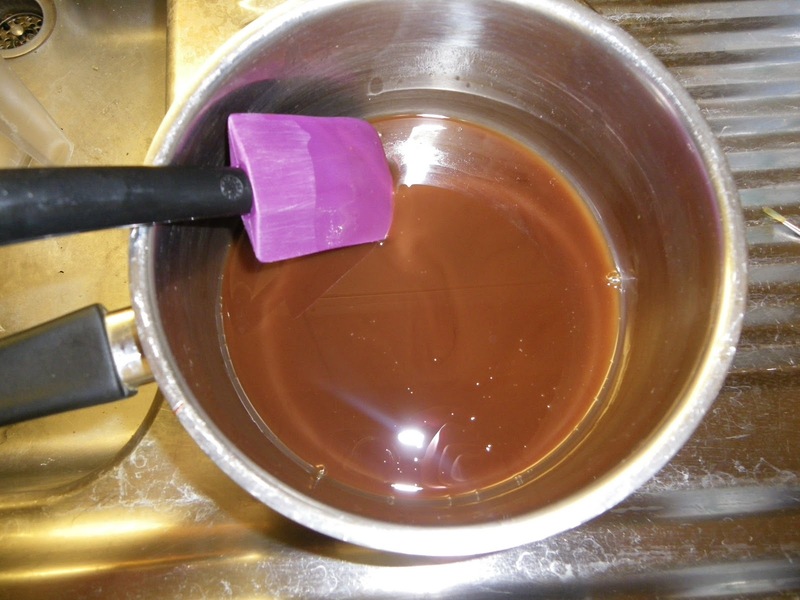 It is possible to use a diluted liquid soap instead of soap paste and distilled water, however I am not sure to what extent you can control the viscosity, it might bee too liquid, however, still might work, did not try yet. You can use 100g of cream soap mixed with Peppermint essential oil (I did this soap some months ago).3) Fill the pralines with the peppermint cream, leave space for the last chocolate layer. 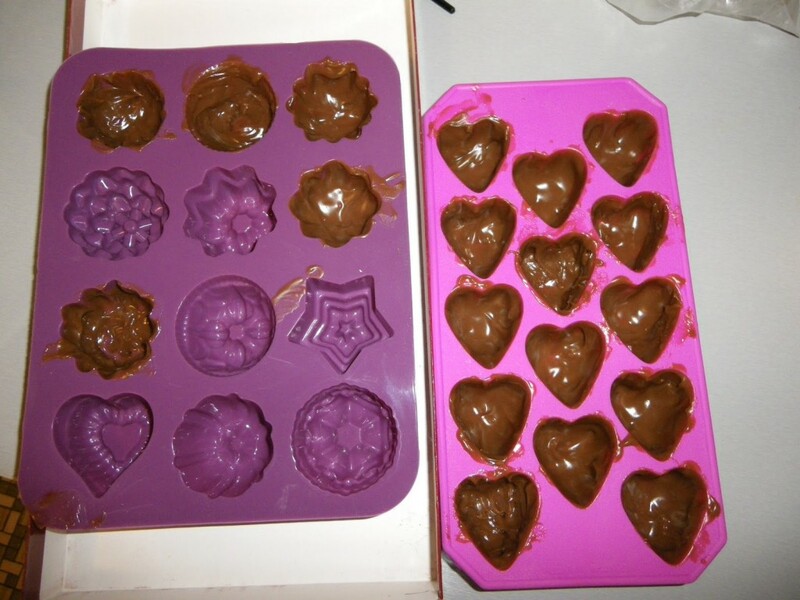 4) While forms in the fridge, prepare again the chocolate soap – it is better to prepare it twice than to prepare everything at once for two reasons: while you are filling molds, the second part of chocolate soap will harden considerably and will be difficult to pour on the top of the molds. Moreover, the trace of the second layer should be thinner so that we can pour it like a chocolate topping, filling all the air gaps. 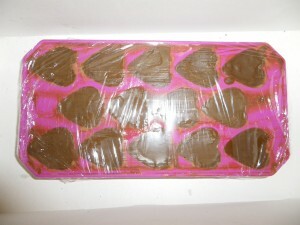 Chocolate soap from first batch – too thick, difficult to spread. 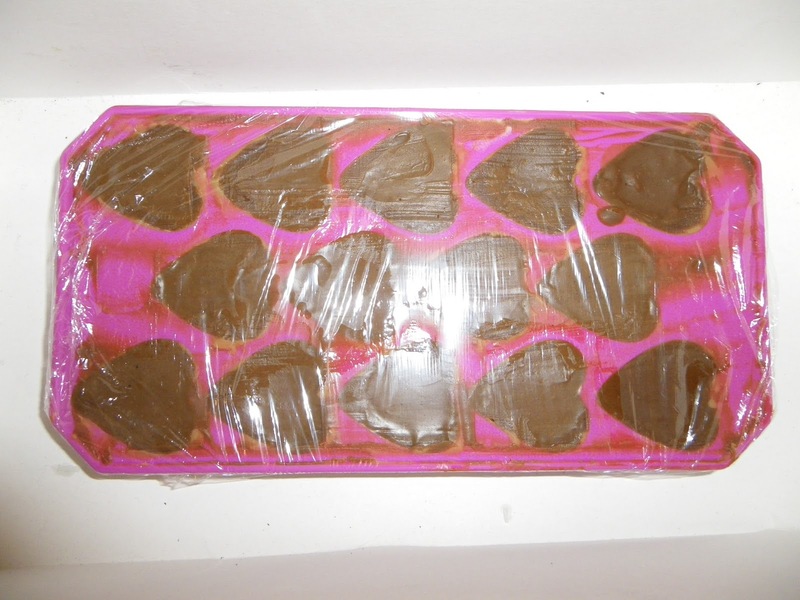 I did this because I had some chocolate soap left from the first batch, however, finally I had to pour the second batch chocolate soap all over to make it smooth. 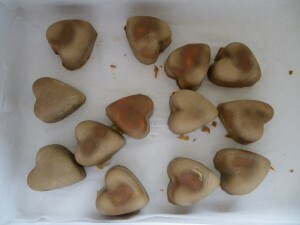 I used second batch chocolate only in order to cover the cream filling in heart molds. 6) I unmolded the next day. While unmolding from soap molds was easy, I had to put the heart ice cube mold in the freezer for 10 minutes first. 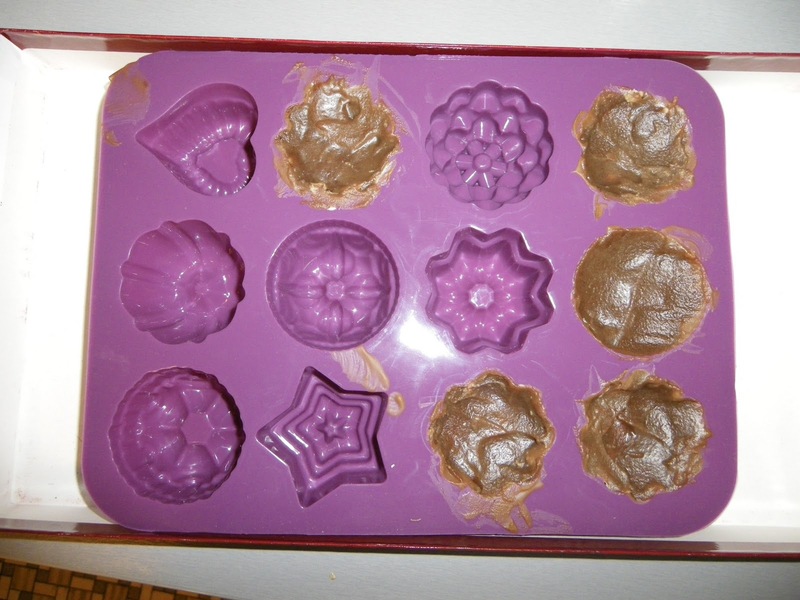 You can see spots where the soap layer was very thin and cracked, but other soap pralines are very nice! Did you like my tutorial? Did you try anything similar? Let me know in comments below! 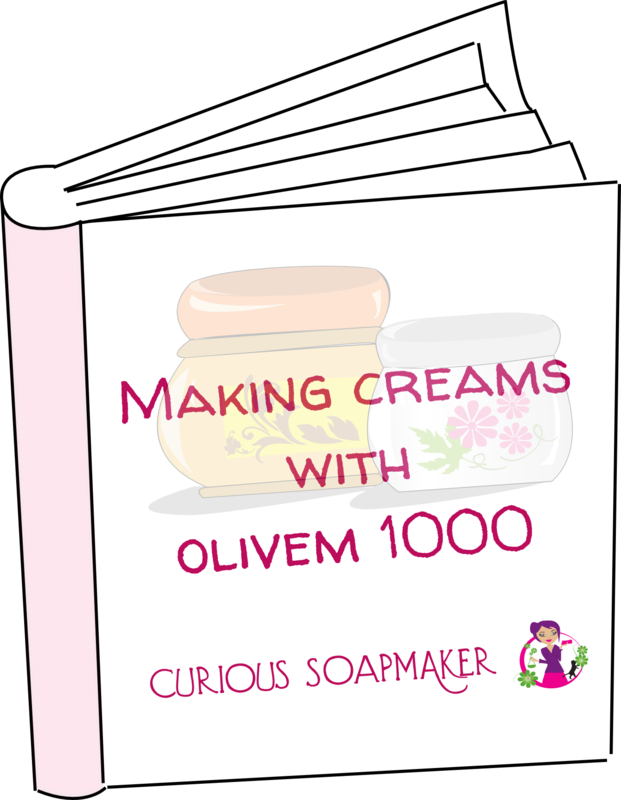 This entry was posted by evik on January 21, 2012 at 18:13, and is filed under soap recipes, soapmaking. Follow any responses to this post through RSS 2.0.You can leave a response or trackback from your own site. 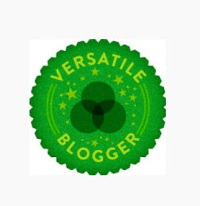 I just came across your blog!! I just love it. Love this, I am really going to try it. Your explanations are very clear, and you make it all seem so easy. 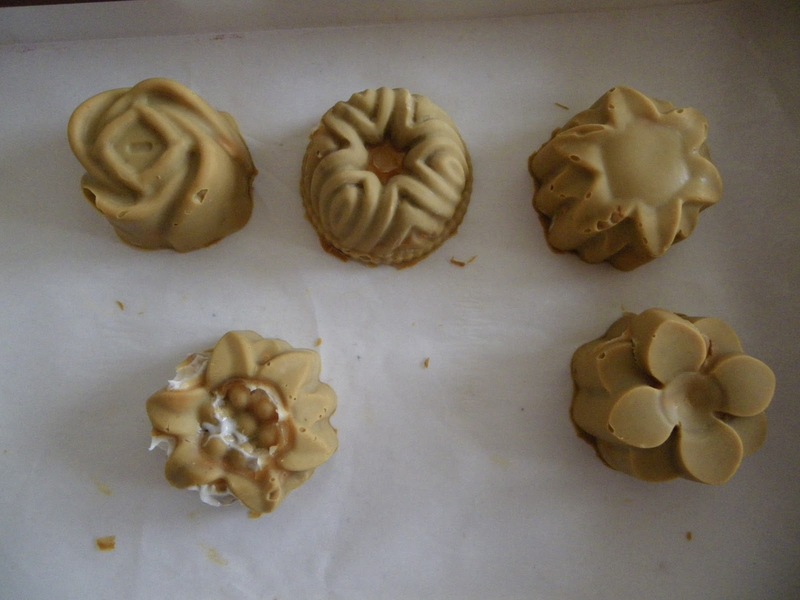 It is just as you said – soap making is very very addictive. I do dream and think about soap. 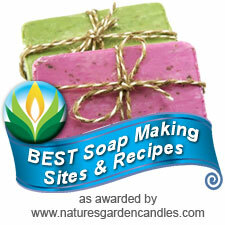 Everywhere I go I look what I can use in soapmaking! 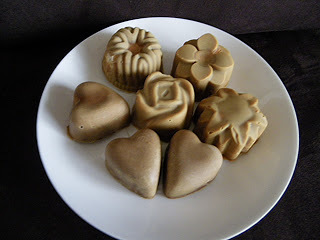 Hi Riette, thanks a lot, I would love to hear if and how you succeeded this soap!